Halloween witches, ghosts, and goblins are truly frightening, but what scares you the most? Do vampires or snakes strike fear in your heart? Do you find yourself with an adrenaline rush from sharks? Or maybe you stop cold in your tracks from creatures like bats, spiders, and rats? Scary animals can have sharp teeth and claws or can be monstrous and fierce. Some are ghastly to behold and others are too small to hardly see… but deadly! A list of fearsome spectacles would be incomplete without the creepiest of living creatures. Here’s a few of the scariest animals on earth that may just give you nightmares! 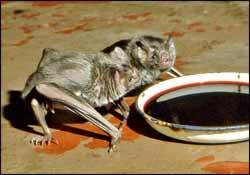 Vampire bats are scary because they feed on blood in the dark of night! Though they mostly feed on cattle and horses, they are known to attack humans too. They are only the size of your thumb but with razor sharp teeth. Each night while we sleep, these little fellows come out to feed! They use heat sensors in their nose to find flowing blood. They land and then walk quietly up to their sleeping victim. They make a small slit in the skin and then lap up the blood. Most victims don’t even feel it! 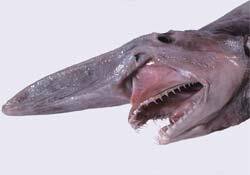 Goblin sharks are terrifying because their whole mouth seems to detach from their body as they grab their prey.They use their super long snout to scan the sea bed looking for prey to ambush. These are big guys are practically living fossils, with a lineage of some 125 million years. They reach about 10-13 feet (3-4 m) in length with a long eel-like tail. You may never actually see one because they live at extreme depths in the ocean, and few have lived for any length of time in an aquarium. 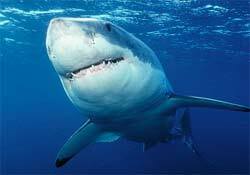 Talking about sharks!… just the cry “shark” will send crowds of people fleeing for their lives. And the Great White Shark is nothing to mess with! These are sharp-toothed beasts with an astounding 3,000 teeth. They are the largest predator in the sea, reaching a staggering 20 feet (6 m) in length and weigh as much as 4,500 pounds (2,041 kg). Despite their size and fearsome teeth, the chance of getting bit by a Great White is pretty slim. In fact from research done at the Florida Museum of Natural History, it’s believed there’s a bigger chance of being struck by lightning than attacked by a shark. Still take precautions to be safe. Only swim during the daylight hours, pay attention to your surroundings, and avoid splashing. If a shark has been spotted in the area, stay out of the water because these fish tend to return to feed in the same areas. Black Widow Spiders are the stuff nightmares are made of. The males are virtually harmless, but it is the females you should be concerned about. 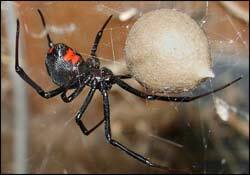 Females are black with a bright red hourglass marking on the abdomen, and venomous fangs! The female hangs out in private places like wood piles, barns and basements. She will spin a web and lie in wait for her victims. Once trapped on her web, she quickly sinks her teeth into her victim’s body, sending a shot of venom filled with digestive enzymes. The enzymes cause the victims corpse to liquefy, becoming a deliciously juicy snack. This killer lady is not normally aggressive towards people unless she feels threatened. It is very rare for a death to result from her bite in a healthy person. Still, getting medical attention is a good idea. Young children and the elderly are more at risk for complications. Rats are scary because they are pretty good sized, and can cause an incredible amount of damage to anything they sink their teeth into. They tend to live where there are humans, because they are opportunistic scavengers and thrive on the waste people leave behind. Rats have long been considered deadly pests because they carry pathogens which can spread diseases and contaminate food. They are larger than mice, but though there is some urban folklore that describes them to be as big as cats, they rarely weigh over a pound. These rodents that are found all over the world, except in the Polar Regions, and they have been around for generations. 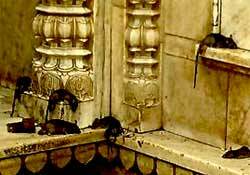 The best-known rat species are the Black Rat Rattus rattus and the Brown Rat Rattus norvegicus. 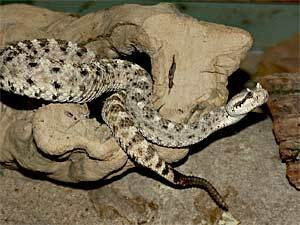 Rattlesnakes are equipped with a signature tail that rattles as a warning when they feel threatened. The sound of a snake’s rattle sends a chill up the spine and will stop anyone dead in their tracks. If you come across one while hiking, back away from it and then let it be. If you are bitten, seek medical attention immediately. These snakes are members of the pit viper family and there are a number of different species, each identified by its patterns and colors. 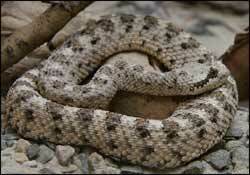 These critters are the largest venomous snakes in the U.S., with some specimens reaching up to 8 feet (2.4 m) in length. Although they are venomous predators, they are important to the ecosystem because they provide a natural pest control. 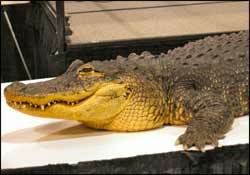 The American Alligator is one of the most feared animals on the planet. This is a large, strong cold-blooded predator. Its scaly body cans reach up to around 11 feet (3.3 m) in length, with some males weighing up to a whooping 1,000 pounds (453 kg). These creatures have a menacing glare and a club for a tail. Being looked at won’t hurt, but one swing from the tail can deliver a wallop capable of breaking bones. Yet their real strength is in the powerful maw. They have anywhere from 74 to 80 teeth, but it’s when those jaws clamp down that there is major damage. This powerful vice is very difficult to get out of. Some say to punch it in the eyes, nose, and ears to try and get loose, but the smart thing is to stay out of their way! 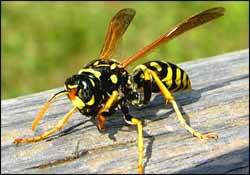 Hornets and wasp are nasty creatures that cause great trepidation! Even seeing a wasp causes immediate alarm, and rightly so. Many people are violently allergic to their stings. Hornets are called “social wasps,” but people don’t think of any wasps as social at all. These guys are so irascible that they are easily agitated and will readily attack! You can’t shoo them away because that may make them mad and cause them to attack. If one even thinks it’s attacked it can mobilize its entire nest to come out in a stinging mass of defense. You can’t kill them either or they may release pheromone which can also cause the other hornets to attack. Anything that comes in contact with pheromone, like clothes or skin, can trigger an attack. Even some food flavors such as bananas and apples, or fragrances which contain C5 alcohols and C10 esters can trigger attack. Although wasps are fine as a primary pollinator for spring gardens, it’s best to give them a wide berth!